The most unique and flexible mounting option on the market. 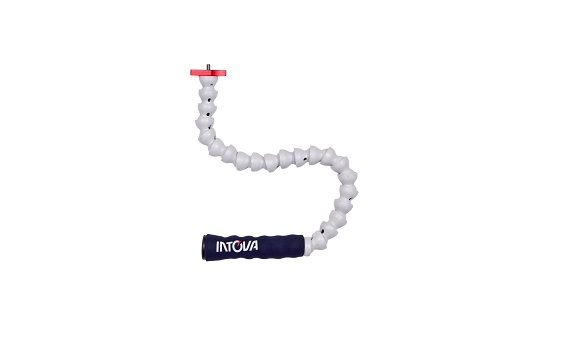 The Intova POD can twist around a branch, railing, beam or many other support options. 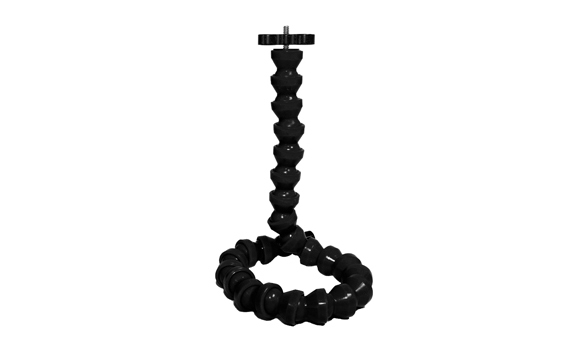 It can be coiled at the base and used as a unipod or straightened and used as an extension pole. 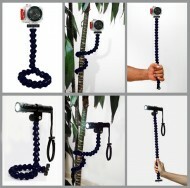 Safe to use in any environment, even underwater, the Intova POD features a standard tripod mount and flex arm head which can be attached to cameras, flashlights, video lights and more. Length is 54cms. 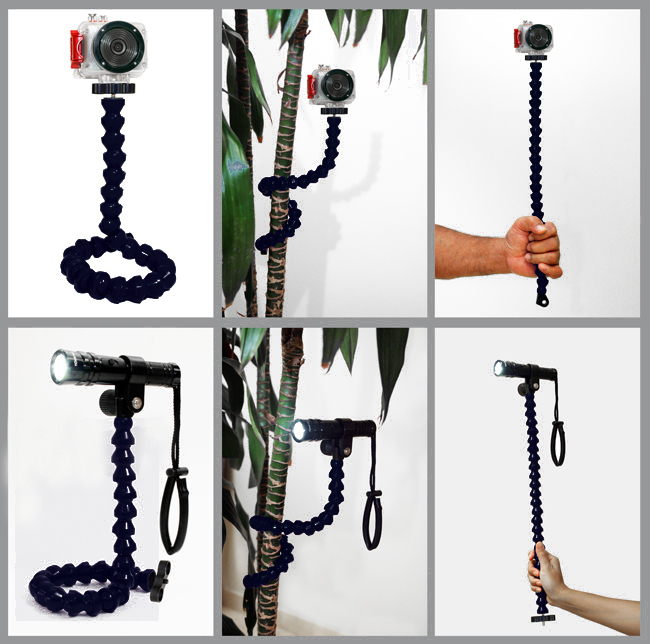 Requires optional adapter to mount flashlight, video light or GoPro.